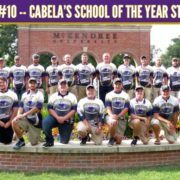 As the coach of McKendree University, what do I look for when recruiting high school anglers? Academics… Academics are number one. After all, the primary reason these anglers are in college is to obtain an education, and my goal is to see them graduate, get a great job in their field of study, and become an active working member of society. Therefore, I always look for anglers with a great GPA. 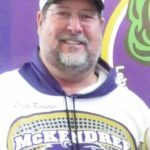 At McKendree, we fish all three circuits and many collegiate opens. Needless to say, we are on the road a lot! Last season, several team members logged 84 nights on the road. And, college fishing is a sport, so if you don’t keep up the GPA, you are ineligible to compete. As a former educator, I also know first hand that GPA is a pretty good indicator of a good work ethic. An outstanding work ethic is definitely a must to be successful to compete at the collegiate level and maintain good grades. A good GPA also allows me to provide a larger scholarship for them to attend school. Passion… I also look for anglers that truly have a passion for the sport of bass fishing. It has been my passion since I was eight years old. I can both see and feel the passion in a young angler when we are together. I want all of my recruits to share my passion for the incredible sport of competitive bass fishing. No lake or weather condition should detour their drive to want to figure out the fish and to find a pattern that will help them to catch a winning bag. They need to eat, breathe and sleep bass fishing. They should strive to figure out the fish, make the right decisions based on conditions and put that pattern together. If they have the passion, they will enjoy the challenge of figuring them out, they won’t stop until they figure them out, … and if they don’t “get’em” on that day, they will dream all night about what they should have done differently! 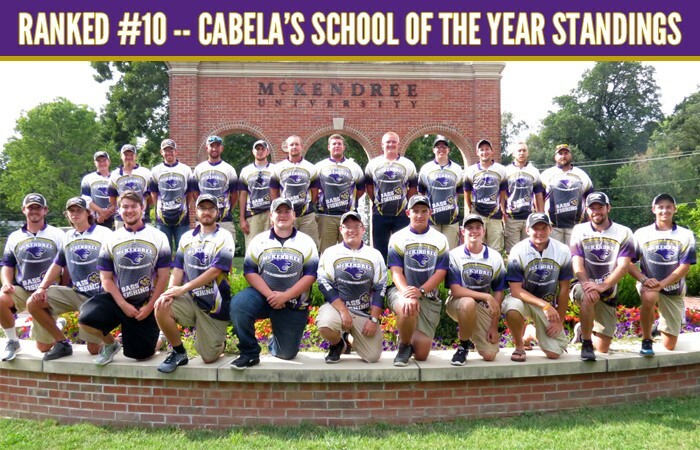 Personality… Not only do I want them to be a good fit for both our McKendree Family and our team, I also want them to be a great representative for themselves, our team, our school, our sponsors, and the sport of bass fishing as a whole, both on and off the water. And also, as coach, I definitely want them to have strong moral values, good character, a positive, productive attitude, the drive to always learn more, and to share in the goals that I set for the team. Experience… There is absolutely no replacement for time on the water. Do they have it? With quality time on the water comes all the instincts that cannot be taught. This on-the-water experience brings knowledge about seasonal patterns, versatility of techniques needed to be flexible and make the correct changes with confidence when the situation calls for it. Time management is critical in competitive fishing. Can they tie a good knot quickly? Do they waste time on a cell phone? Can they get fish off quickly? Do they keep their bait in the water? Can they net a fish effectively? Are they focused? Another important area is attention to detail. Do they check line quality and retie? Are they tuned into their surroundings and the clues that Mother Nature and the fish are trying to give them? Their mechanics and skill set are also important. Can they make those perfect little roll casts and pitches? Are they accurate? Does their bait have a soft entry into the water? Can they overhand cast with distance and accuracy? Are they approaching the fish from the right angle and making the proper casts? Are they matching their rods and reels properly with the baits and presentations they are fishing? Obviously, with the rapid growth of competitive high school fishing many young anglers are getting the opportunity for much more quality time on the various bodies of water than ever before, and lots of quality time on the water is crucial. Attitude… Attitude is a direct reflection of character and moral upbringing. I am always looking for anglers that can stay focused and positive, even in negative situations. How do they react to missing that big fish, breaking one off, making a bad cast, not getting bit? Can they get right back on the trolling motor and continue to give 100 percent? Love of the Sport… Do they truly love it? Love of the sport goes a long way in becoming your best at any sport, and bass fishing is no exception. Competitive bass fishing means being on the water for 8-10 hours straight, balancing on one foot with the trolling motor, making thousands of casts, fighting rough water, often not taking time to even eat… in the heat, the cold, the rain, the wind. To be competitive, you got to love it! Those that truly love it always want one more cast!